Raise your voice and advocate for change! For far too long, Oregon has ranked near the bottom of states in providing access to treatment and recovery support services. Join hundreds of people in recovery—and their friends and family—as we raise our voices so that Oregon’s elected leaders hear our rally for change. We believe that ALL Oregonians should have access to safe, effective and immediate treatment and recovery support. In order to achieve this goal, we must transform Oregon’s fractured and incomplete addiction recovery system into a recovery-based, continuum-of-care that treats addiction as a chronic disease that requires a lifetime of attention. What should I expect from this event? 8 – 8:30 AM: Arrive and check-in to pick up your registration materials and T-shirt. 8:30 – 9 AM: Receive a brief training from your team leader on what to expect in each meeting. Teams are divided by senatorial districts so please register with your home address. 9 – 11:45 AM: Meetings with legislators. The exact times will depend on your home address. 1 – 3:15 PM: Meetings with legislators. The exact times will depend on your home address. 3:15 PM: Gather together again for a quick Advocacy Day debrief. March 12th at the very latest, although the sooner the better! This gives us time to finalize everything and ensure we have enough materials on hand for all participants. It’s not required, but we would love if you would stay in Salem until our group debrief meeting at 3:30 PM, after our meetings with state legislators. And, we really hope you’ll stay at least until 12:30 so you can attend our rally on the front steps of the State Capitol! What if I only want to attend the rally? That’s okay, too! We’d love for you to participate in meeting with your legislators, but if you don’t have time, feel free only to attend the rally at Noon. If you do not want to meet your legislators, you do not need to register to attend, but we also won’t have lunch or swag for you. When will I be meeting my legislators? Groups are organized by Oregon State Senate districts, so your team will be meeting one Senator and two Representatives per group. We have scheduled all of these meetings in advance, butbecause legislators often have to reschedule at the last minute, you will receive your team’s meeting times when you receive your registration packet the morning of the event. Your group will have a Team Leader who will be knowledgable about the layout of the Capitol as well as about Oregon Recovers’ policy. Additionally, you will receive a similar training the day of the event. We will have an Oregon Recovers t-shirt for everyone to wear on Advocacy Day. Pairing the t-shirt with “business casual” clothes (like slacks, a skirt, or a blazer/jacket) is ideal, but not required. Also, make sure you wear comfortable shoes for walking and standing throughout the day. Yes! Bagels and coffee will be provided in the morning and lunch will be provided at the rally. Please be sure to note any dietary restrictions when registering for the event. What is going to happen at the rally? You will hear from some very exciting guests, including elected officials and civic leaders, and members of our recovery community sharing their stories. Please be sure to come out and bring your friends! My friend wants to come with me day of. Can I bring them? Yes! Although registration will close on March 12, we would still love to have them. Send us an email at hailee@oregonrecovers.org with the name and address for anyone who wants to come along, and please be understanding if we don’t have quite enough materials for latecomers. What if I am unable to travel to the Capitol? If you do not have transportation, please indicate so on your registration form and we will do our best to pair you with another participant who can offer you a ride. We also want to make sure that the recovery community from all corners of Oregon can attend, so if you have to travel more than 100 miles to reach Salem, we can reimburse your travel costs. In order to use this options, you mustemail us at hailee@oregonrecovers.org no later than March 7th. In the email, please include where you’re travelling from. If you do not meet the 100-mile qualification but still need financial help, please send us an email detailing where you’re travelling from and why you require assistance, and we will do our best to accommodate you. Great, thank you! 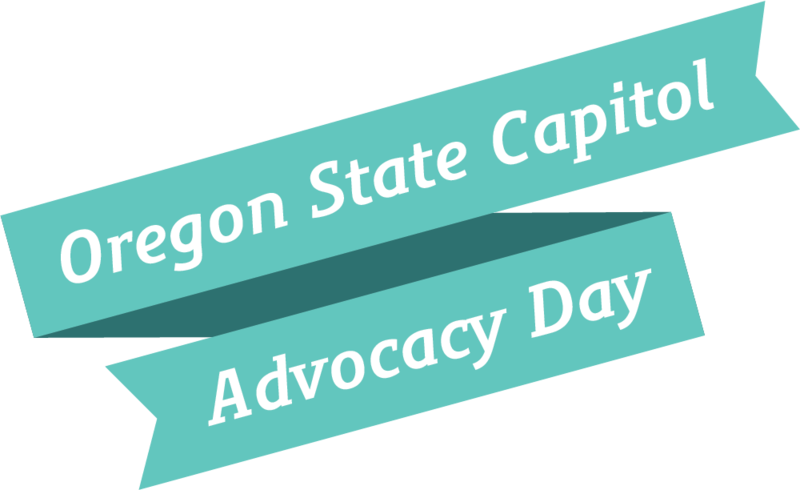 If you would like to be a volunteer on Advocacy Day, please send us an email as soon as possible at hailee@oregonrecovers.org with your name and phone number. If you want to volunteer, we ask that you be available all day from 8 AM to 3:30 PM. Another great way you can help if you’re a rural Oregonian is to indicate on your registration that you’re able to drive other individuals who don’t have their own transportation. For more questions or concerns, please contact our Policy and Events Fellow, Hailee, at hailee@oregonrecovers.org. Be a part of the Recovery Revolution!